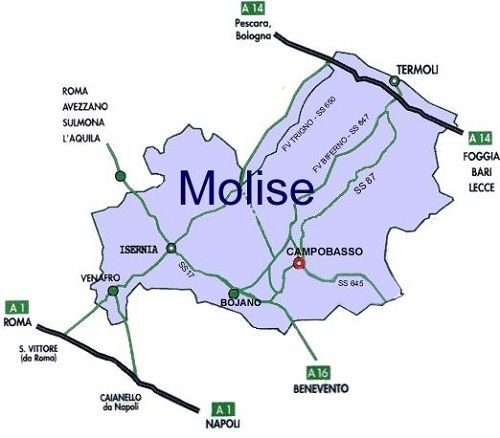 This province of Molise extends over an area of 2,909 square kilometres, encompassing 84 municipalities, including Campobasso, the regional capital. To the north east, it is bordered by the Adriatic, by Abruzzo to the north (the province of Chieti), Apulia to the south-east (the province of Foggia), Campania to the south (the provinces of Benevento and Caserta), with the province of Isernia lying to the west. Leaving the spine of the Apennine Mountains and passing through the hills, lakes and rivers of the hinterland, the visitor reaches the coast of the Adriatic. This is a very varied landscape with villages, towns and cities scattered through the hills and along the cliffs. 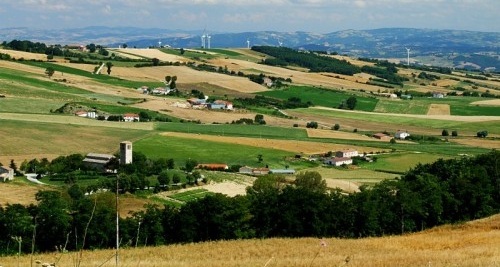 The territory is crisscrossed by the valleys of the rivers Trigno, Biferno, and Fortore: these follow a more or less straight path through the hills and mountains before widening out abruptly as they approach the sea. 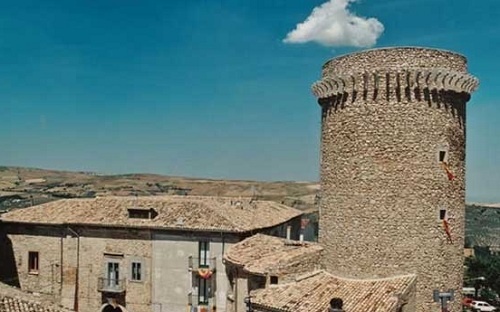 Campobasso lies at an altitude of about 700 metres on the slopes of Southern Apennine hills: it offers splendid views of the region’s evocative landscape. It is replete with monuments including the Castello Manforte, built around 1450 on the ruins of a Norman construction, on a hill that dominates the city; the Cathedral was first built in 1504 but reconstructed in the neoclassical style in 1805 following its destruction in an earthquake; the Romanesque church of San Bartolomeo,; the Chiesa di S. Antonio Abate, built in 1572, displays a late-Renaissance façade and Baroque interior embellished with paintings and frescoes by 17th century artists; the Chiesa di San Leonardo, dating from the 13th century; the Chiesa di San Giorgio, a 12th century Gothic construction. The town also houses the delightful Museo del Presepe, a museum displaying a fine collection of antique recreations of the nativity scene, some dating from the eighteenth century. 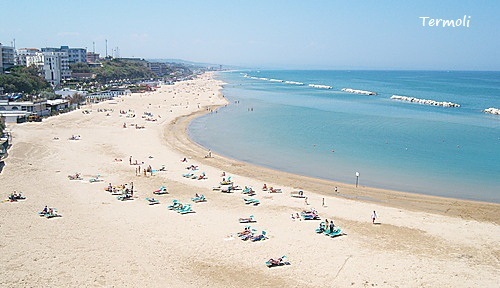 The province preserves a wealth of archeological relics, such as the Villaggio di Campomarino, a prehistoric settlement, and many burial grounds, including the necropolis of Termoli, where the remains of 141 graves are preserved, the Tombs of Guglionesi, the Samnite burial grounds of Gildonea and the Lombard necropolis of Campochiaro, from the High Middle-Ages. The burial ground and Hellenic tombs have been preserved at Larino, a delightful village that has been inhabited since the 5th century B.C. and, as a result, guardian of a wealth of monuments from different eras. Especially remarkable are the Hellenistic domus, the Roman amphitheatre, the Baths, the 14th century Gothic Cathedral and its adjacent Tower , the Palazzo Comunale (Municipal Building) and the Church of S. Francesco. In the valley of the river Tammaro lie many fortified centres, such as the Samnite settlement of Monte Vairano, another at Cercemaggiore, and the fortifications of Gildone, Vinchiaturo-Mirabello, Duronia and Terravecchia di Sepino. The ruins of the ancient Roman city of Saepinum, including the Forum, the Basilica, Porta Bojano, the Baths, the Theatre, the Cardo and the Decumano, the walls, and majestic gateway can all be seen at the important tourist centre of Sepino. 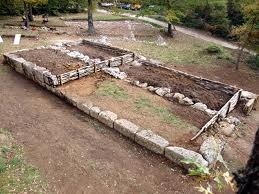 Other interesting archaeological sites are Fagifulae-Santa Maria a Faifoli at Montavano, Bojano (Bovianum), Trivento (Terventum), Piano Quadrato and Tufara, site of an important find of coins. Then there are the country villas of Morrone del Sannio, Canneto on Trigno, San Martino in Pensilis and San Giacomo degli Schiavoni. 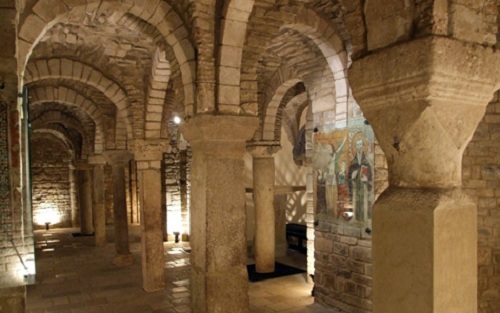 A number of churches remain from the Middle Ages, built between the twelfth and fourteenth century: these include the Cathedral of Trivento with its splendid crypt, the Church of Santa Maria della Strada a Matrice, the Church of S. George in Petrella Tifernina, the Abbey of S. Mary of Casalpiano in Morrone del Sannio, the Church of S. Maria a Mare Campomarino, the Cathedral of Termoli, the Church of S. Alfonso of Liguori in Collotorto, the chapel of the Madonna delle Grazie in Riccia, the Church of S. Nicola di Bari and the Church of S. Maria Maggiore in Guglionesi, the Convent of S. Maria of the Libera in Cercemaggiore and the Church of Our Lady of Canneto in Roccavivara. the Tower of Anjou in Colletorto, and the Castle of Riccia in Termoli. 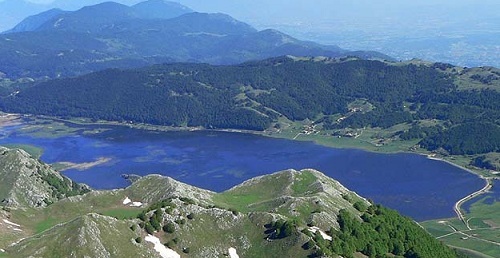 The unspoiled nature of the mountains of Molise offer stunning scenery all year round. The lush forests of the Matese mountains are the natural habitat for an extraordinary range of wildlife, including wolves and rare birds of prey. The territory is the perfect location for mountaineering, trekking and pot-holing, with a network of caves carved into the limestone producing a plethora of stalactites, stalagmites, potholes, water courses and various natural concretions. 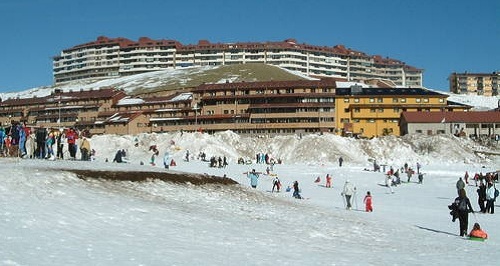 Among the province’s most renowned places is Campitello Matese, part of the Municipality of S. Massimo, a leading skiing resort with superb pistes and modern lifts. Campobasso boasts two nature reserves, ideal for excursions to discover a wide variety of flora and fauna: the LIPU Oasis in Casacalenda and the WWF Oasis, Guardiaregia-Campochiaro. A typical feature of the region are the sheep tracks (tratturi-read more about the transumanza), grassy paths along which shepherds herded their flocks from summer pastures on the plains of Puglia. Today, these provide wonderful opportunities for walks and trekking. 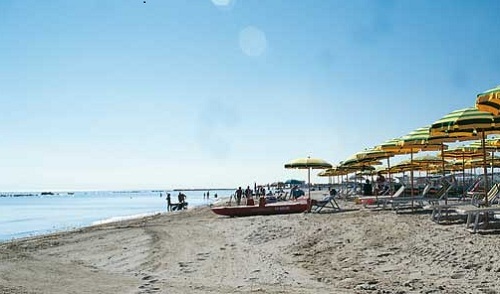 Those who love the seaside will appreciate the 38 kilometres of Adriatic coastline, a host of resorts set like jewels in the beautiful landscape: Petacciato, Termoli, Montenero di Bisaccia and Campomarino. 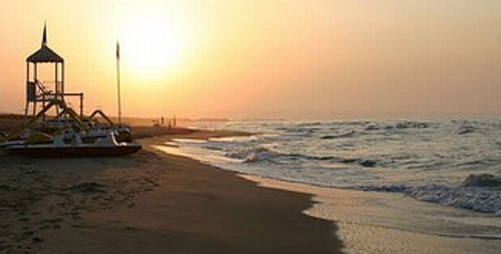 All these resorts offer high quality service and every type of accommodation, from hotels to campsites, restaurants and fully-equipped beaches. Ferries are available to the Tremiti islands, a favored spot for diving enthusiasts. 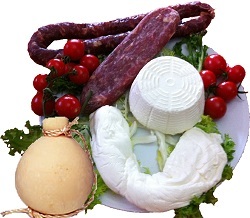 The typical cuisine of Campobasso is based on genuine, organic ingredients like zucchini, caciocavallo (cheese) and sausages. Starters include soups made from the vegetables grown in the area, such as lentils, pearl barley, broad beans and beans. 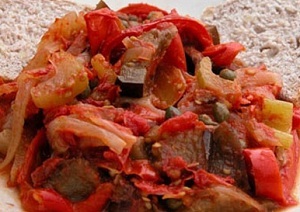 The caponata is the dish that truly characterises this city. It is made with wheat (Tarallo) dampened with water and vinegar and flavoured with tomatoes, celery, peppers, anchovies, black olives and boiled eggs. Crioli con le noci (pasta-rotini with walnuts) is another speciality, dried cod cooked with chopped nuts; and then there’s tacozze e fagioli, homemade pasta sauce with beans and pork rind. The province is the home of delicious sausages and cured meats: capocollo seasoned pork, ciccioli, ham, pork sausage, brawn, torcinelli (roulade) and ventresca. The areas biodiversity produces many varieties of mushrooms such as boletus, field mushrooms and gallinacci, as well as the precious truffle. 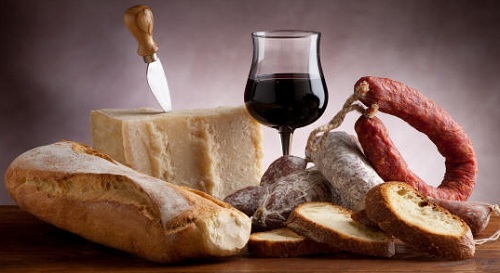 Then there are the splendid cheeses, including caciocavallo, burrino, mozzarella and pecorino. Among the most famous wines are Biferno (white, red and rosé) and Moscato.